Kelly Clarkson was working as a cocktail waitress before entering the first American Idol competition in 2002. After winning the competition, she achieved immediate success with debut single A Moment Like This and album Thankful. Like her British counterpart, Will Young, Kelly has built on this success to develop in to a credible mainstream artist, releasing her follow up album Breakaway in 2004. After the tremendous success of 2004's Breakaway, which sold 6 million in the U.S. and 11 million worldwide on the strength of No. 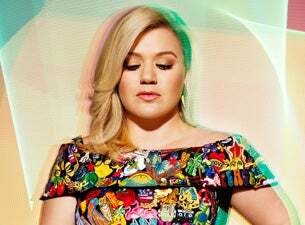 1 hits such as "Since U Been Gone", "Behind These Hazel Eyes," "Because of You" and "Walk Away," Kelly Clarkson earned the right to make the kind of album she wanted to make for her third RCA Records effort, My December. "The biggest difference is how intimate it is," she says of the album, co-produced by David Kahne (Bangles, Sublime, McCartney, and the Strokes) and touring band members Jimmy Messer and Jason Halbert. Kelly either wrote or co-wrote every song on the album." Legendary L.A. punk bassist Mike Watt, who has played with Iggy and the Stooges as well as his own band the Minuteman, guests on three songs. My December unfolds like a diary of the last two years in the life of Kelly Clarkson, which saw her take home a pair of 2006 Grammy Awards at L.A.'s Staples Centre and perform a show-stopping version of "Because of You"; receive four American Music Awards, three MTV Video Music Awards, a People's Choice Award and a staggering 11 Billboard Music Awards. All that acclaim however, took its toll on her personal relationships, captured on the dance-floor funk-soul of "One Minute," which she describes as "about the craziness of everything," the edge-styled guitars in the blues-rocking "Hole," the betrayal of "Judas" and the playful No Doubt-inspired rhythmic pulse of "How I Feel." Songs like "Sober," "Be Still," "Maybe" and "Irvine" are vocal showcases that reflect her singer-songwriter roots. My December marks a major turning point for Kelly Clarkson, a third album that defies expectations and introduces an artist coming into her own and growing into her powerfully, distinctive vocals. "It's the end of something and the beginning of a new era, a fresh start," she says. "My December album is like a movie about me, it's my story.